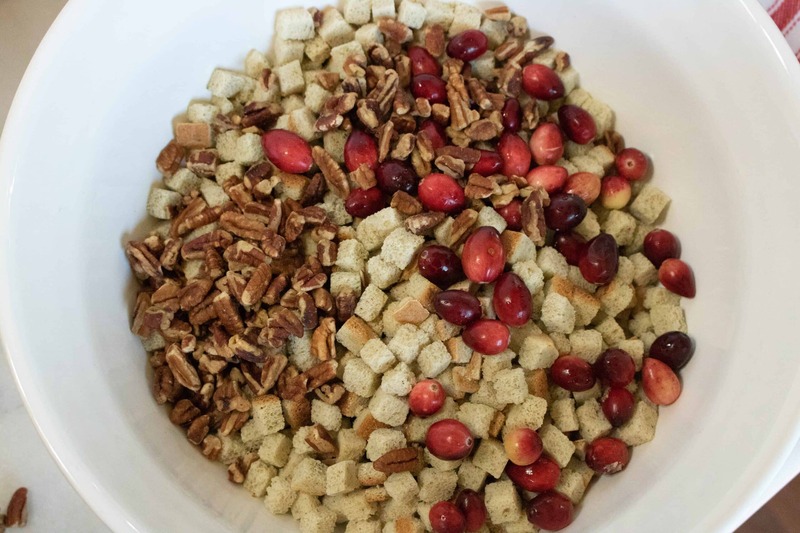 This Instant Pot Cranberry Pecan Stuffing is bursting with classic fall flavors! 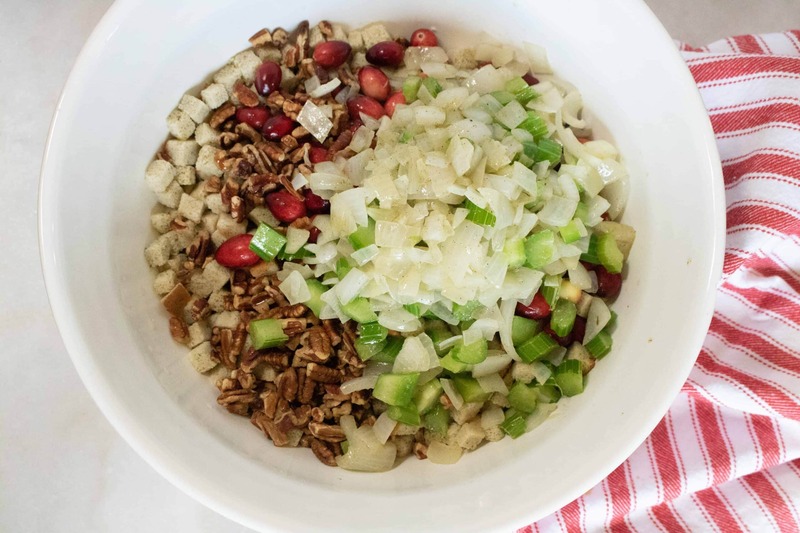 The onions, celery and pecans provide lovely savory and earthy notes. And the fresh cranberries are fresh and tart, balanced with just a hint of sweetness. To me, nothing says Thanksgiving like stuffing. It really is the dish I look forward to the most. And I’m clearly not alone: stuffing always appears at the top of the list of favorite Thanksgiving dishes. 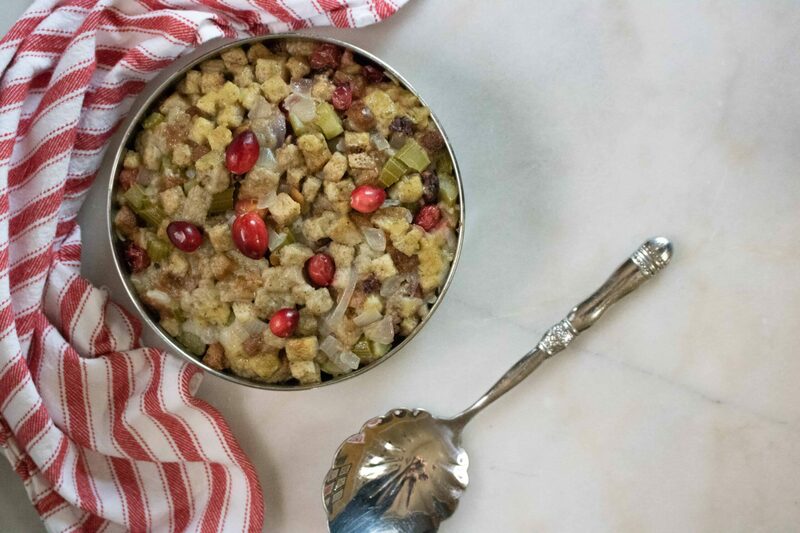 The only thing that could possibly make this delectable Cranberry Pecan Stuffing recipe better? Making it in the Instant Pot, of course! 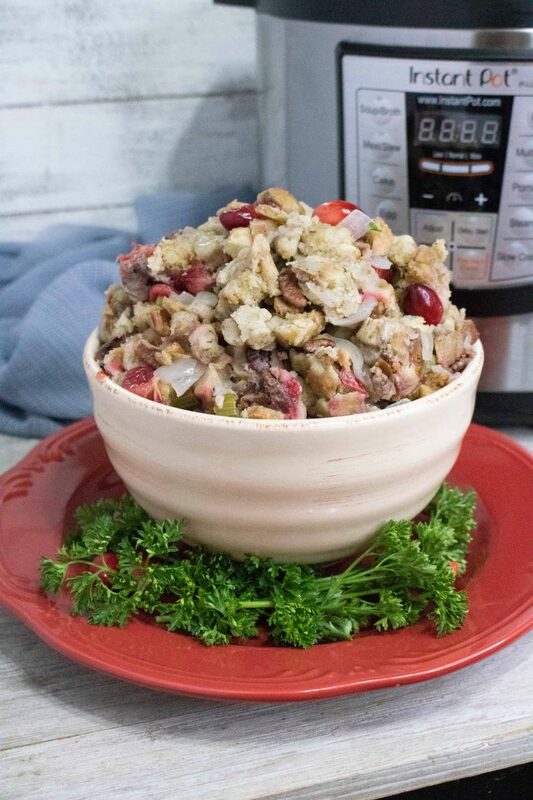 Why Make Cranberry Pecan Stuffing in the Instant Pot? You will get deliciously moist stuffing, every time. 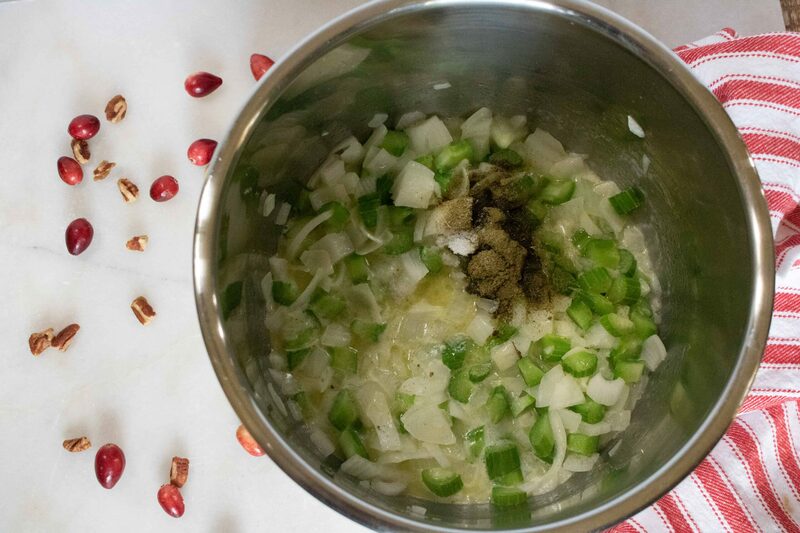 This is because the steamy environment inside the Instant Pot cooks the stuffing while preventing it from drying out, which is a common stuffing mishap when cooked in the oven or on the stovetop. Just set it and forget it! Once the ingredients are combined inside the Instant Pot, seal it up, set it and then simply walk away. Not having to monitor the progress means you can focus on the rest of your Thanksgiving meal prep. It is a perfect make-ahead dish. You can make this stuffing in the morning, or even the day before. Store it in the fridge and then heat it up when you’re ready to serve. Saves valuable space in the oven and on the stove, which is always in high demand when preparing Thanksgiving dinner and other holiday meals. The answer to this hotly-debated topic is different depending on who you ask. 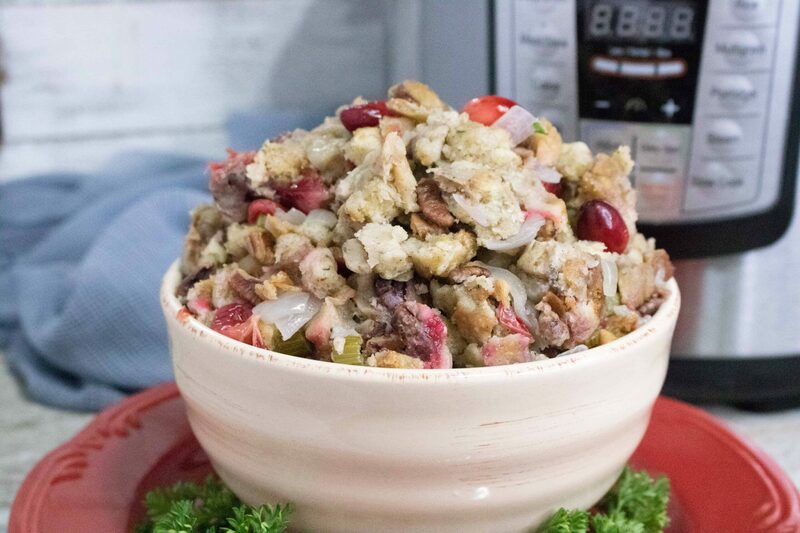 Some people say that stuffing is what you call the mixture of bread cubes, onion, celery, and spices when it is cooked inside a turkey (or chicken or other bird). Whereas dressing is the term for cooking that same bread mixture in the oven or on the stove. However there are others who claim the difference is purely geographic. 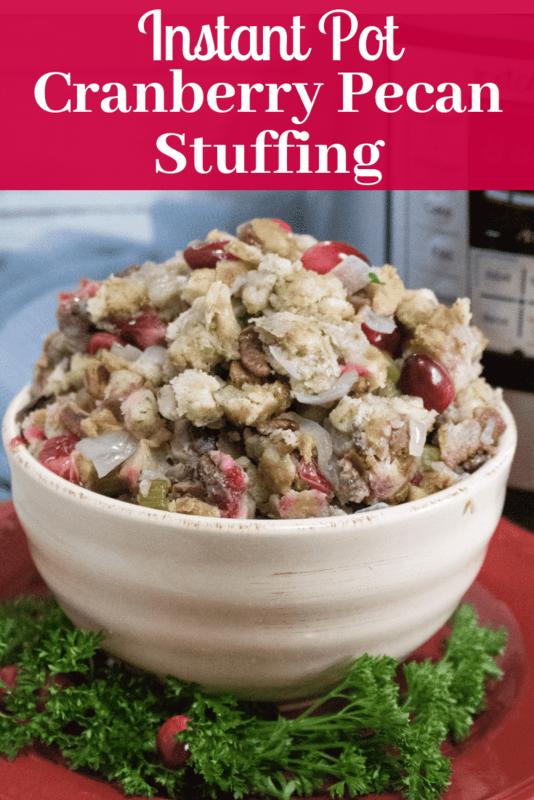 Folks in the Southern states and the Midwest tend to call it dressing, and those who live in the Northeast and on West Coast use the term stuffing. But the one thing we all can agree on is that no Thanksgiving meal is complete without it! Step #1: Add the first 4 ingredients to a large bowl and stir to combine. Set the Instant Pot to sauté mode. Step #2: Sauté the onion and celery together with butter for 2-3 minutes. Add in the seasonings and continue to sauté for another minute. Step #3: Add the mixture to the cubed stuffing. Stir to combine, then transfer into a metal Instant Pot pan. Cover the pan with lid or foil. Step #4: Add 1 ½ cups of water plus the trivet rack to the inner pot of the Instant Pot. Lower the covered pan onto the trivet using a sling. Step #5: Close the Instant Pot lid and turn pressure valve to seal. Next, cook on manual high pressure for 20 minutes and once finished perform a quick pressure release. Looking for more Instant Pot recipes that are perfect for Thanksgiving? You’ll just love making Instant Pot Turkey and Instant Pot Pumpkin Cheesecake. And for even more Thanksgiving dishes, try this recipe for Homemade Cranberry Sauce or this Parmesan Green Beans Recipe. Instant Pot Cranberry Pecan Stuffing is perfectly light, moist and full of classic fall flavors! Sauté the onion and celery together with butter for 2-3 minutes. Add in the seasonings and continue to sauté for another minute. Add the mixture to the cubed stuffing. Stir to combine. Transfer into a metal Instant Pot pan. Cover pan with lid or foil. Add 1 ½ cups of water and the trivet rack to the inner pot of the Instant Pot. Lower the covered pan onto trivet using a sling. Close the Instant Pot lid and turn pressure valve to seal. Cook on manual high pressure for 20 minutes and then perform a quick pressure release.